During Holy Week, the exercise Acts8 proposed around The Top Ten List has produced several responses. Click on the links to the blogs to get fuller explanations of why they chose those ten items. Stay tuned to our site for future BLOGFORCE challenges. 7. Nativity Church brings Dothan their first ever Mardi Gras parade. 10. Alcoholics and addicts being saved in the sanctuary as well as in the basement. 9. Social media being used competently to spread the good news and strengthen the Body of Christ. 8. Senior ladies who, in the midst of change, still love each other, care for the poor, work hard, and go to their closets regularly to pray in secret as they were taught. 7. The Gathering of Leaders. 6. The numerous outdoor Palm Sunday processions taking the church in all its quirky splendor to the community. 4. A full Catholic Holy Week lineup (with smells and bells), evangelical life transformation groups (with Bible study and accountability), and charismatic healing prayer (with speaking in tongues) all offered in the same congregation. 3. The Rev. Ben Campbell and Richmond Hill. 1. The Easter Alleluia boldly and joyfully proclaimed! 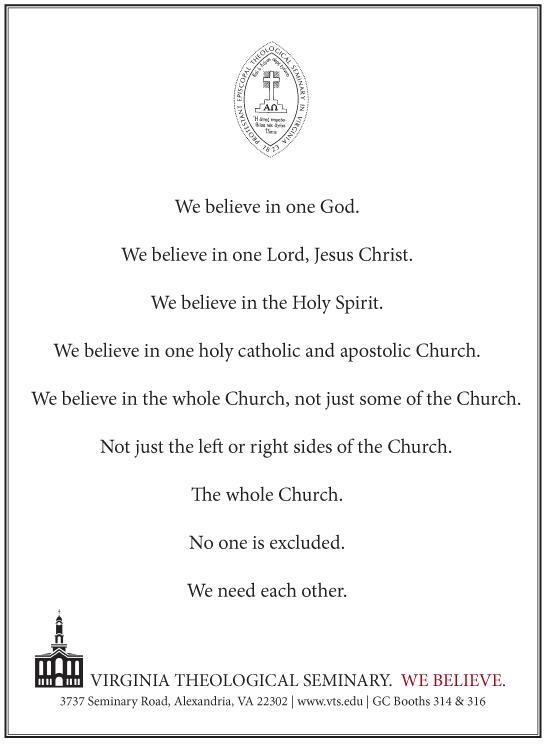 Our Full Communion agreements with the ELCA and Moravian churches. The clergy coming out of our seminaries today. The Rt. Rev. Nick Knisely and others who are illustrating the dynamic interplay between science and religion. 9. Church leaders who are not shrinking from the challenges of the 21st century, but are walking toward them full of hope for the future. Folks who aren’t trying to maintain a church model that worked in 1950, but are working to build the Church in 2014. 8. Churches that are offering unique and inventive new ways to be the Church, like The Gathering at St. John’s, Roanoke, VA, and the Come as You Are Service at St. Anne’s, Reston, VA.
7. Ashes to Go, Palms to Go, and Prayers to Go – happening across the Episcopal Church. 6. Folks recognizing that the way to reach young adults is not by adding a guitar to your evening service or dressing your priest in jeans, but by actually talking to young adults about what they want and need from church (Hint: its probably a lot more similar to what you want from church than you think). 5. EYE (Episcopal Youth Event) and other vibrant youth ministries across the church. 3. Episcopal Seminaries that are (just now) starting to shake off the dust and realize that they need to do to train priests for 2014. 2. A small, but growing, group of Episcopalians who believe that the arrogance, pessimism, and cynicism that we have inherited from our church elders is not only unhelpful, but is downright destructive. 1. Easter Sunday, where we see that the Body of Christ has been killed and raised once before, so it cannot die again. 5. The Liturgy. No Really, the Liturgy.